Google Home and Amazon Echo killer in the making? Apple is looking to give Amazon and Google a run for its money with the launch of its first Siri enabled smart speakers. A report coming from Bloomberg reveals that the long rumored speaker is indeed in development and Apple plans to launch it as early as its annual developer conference (WWDC) later this month. That said, the speakers won’t hit the market before the end of this year. Despite the competition from the likes of Amazon Echo and Google Home smart speakers, Apple believes that it will be able to curve a niche for its own Siri enabled smart speakers. Unlike others, the upcoming speaker from Apple will come with support for its own services including the popular Apple Music. This is something that’s missing on the other two speakers. Needless to say that the Apple’s Siri-enabled speaker would mainly attract users who are dependent on the Apple ecosystem and uses a large number of products and services of Apple’s. 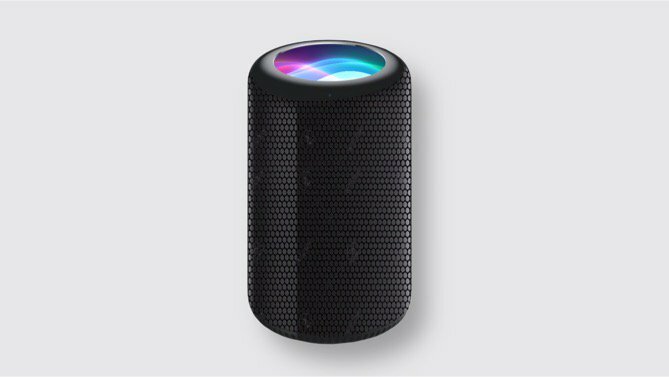 An Apple insider revealed to Bloomberg that the Siri enabled smart speaker would differ from its counterparts by offering a virtual surround and sound technology. Apart from the deep integration with Apple’s product range, the smart speaker is reported to work as a hub to automate lights and appliance using the company’s HomeKit system. Apple would also let third party services build products for the smart speaker. The Siri smart speakers will reportedly be manufactured by Taiwanese hardware manufacturer Inventec Corp. Apple’s new launched AirPod wireless headphones are too made by the same manufacturer. People familiar with the matter said that a number of Apple employees have been testing out the Siri-enabled smart speakers at their homes for the last few months. By introducing this speaker, Apple aims to earn more by locking its existing user base to its ecosystem, rather than by merely selling hardware. Apple currently generates a revenue of around $24 million from its allied services and aims to double it by 2020. Just in case the report turns out to be true and Apple ends up launching the Siri-enabled speaker at its annual developer conference; then it would the first conference after 2013 that would play host to a new hardware launch from the Tim Cook led firm.